Hailuogou National Glacier Forest Park is located on the eastern side of Gonggar Mountain in Luding County of Tibetan Autonomous Prefecture of Garze, Sichuan Province. 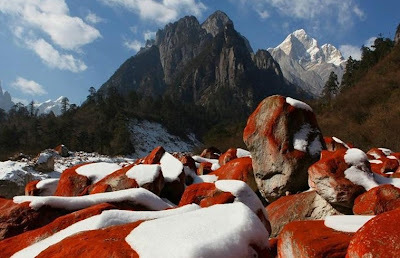 Glaciers in Hai Luo Gou are typical modern marine glaciers, that are rarely found either in low-latitude places or at low altitudes. Its lowest point is only 2,850 meters above sea level. 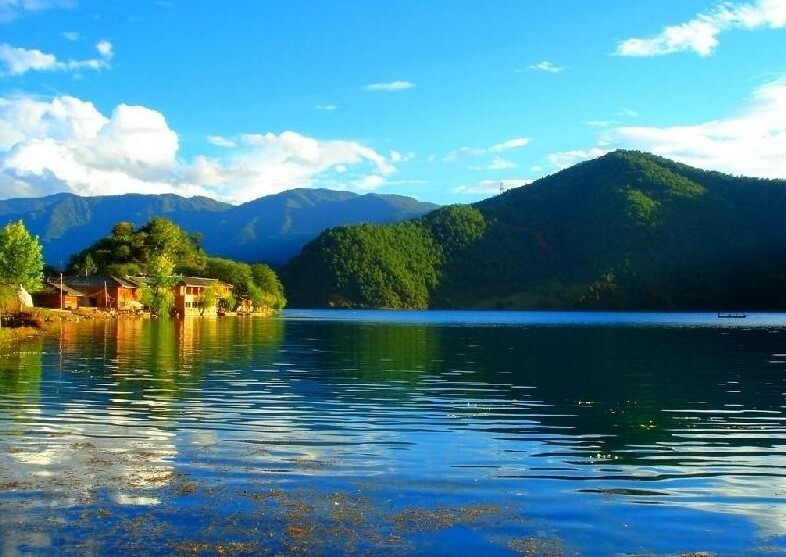 It is 319 km from Chengdu and 105 km from Kangding, where administrative organs of the Garze Autonomous Prefecture are located. The park boasts many geographic attractions, including ancient glaciers, grand glacier cascade, virgin forests, wild animals and hot springs. Beyond the cascade there is a snow basin -- the source of the glacier. When the frozen water accumulates to a certain amount and the surplus ice and snow need to find a way out, there will be an avalanche. 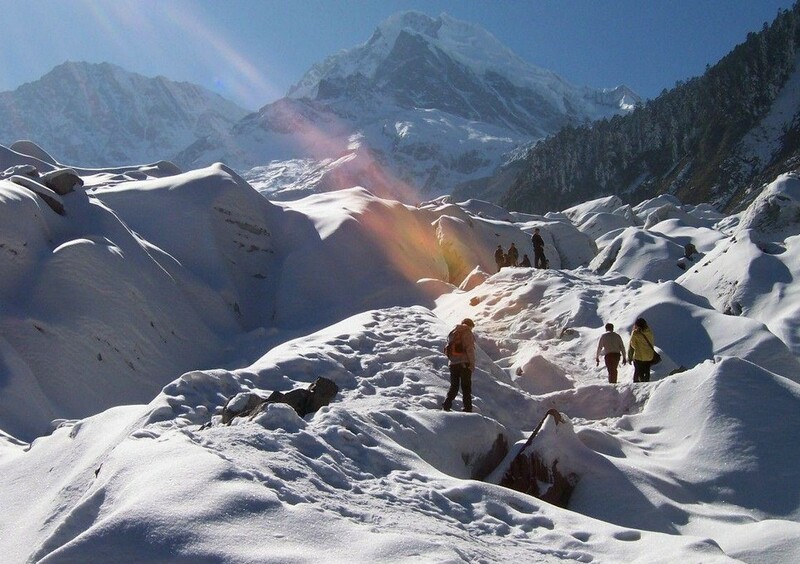 During spring and summer, the dynamic seasons for glaciers, over 1,000 avalanches may happen in a day. In one such collapse, the falling ice can reach 1 million cubic meters. As electricity is produced during the hit and friction, blue sparks are sent out together with earth-shaking roaring. l For safety’s case, the snow basin can only be seen from afar, which is a pity for such a unique attraction. the glacier fall may collapse at any time. l The vista is several kilometers from the Grand Glacier Cascade, tourists do not need to worry about harms from even the biggest avalanche. 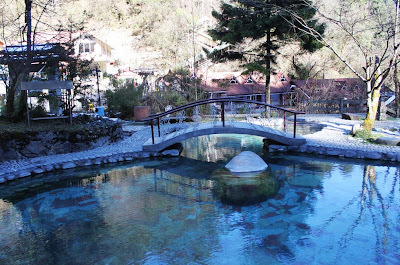 The hot springs at Hai Luo Gou are one of the highlights during the winter months. The most notable hot springs are located at campsites number one and two. In No.2 Campsite, hot springs gush out from rock cracks year round, with a daily flow of 8,900 tons. Water temperature can reach as high as 90 °C. The hot springs gush into a small pond, from where they drop down along a cliff to form a waterfall of 8 meters wide and 10 meters high. The spring water is believed to be effective in curing diabetes, neuralgia, arthritis and gastroenteritis. There are also a big swimming pool and small-scale bathrooms in No.1 Campsite. l It’s best to visit hot springs in the cooler months as the heat of the hot springs are much more bearable in cool weather. l Do not bathe in the hot spring for more than 20 minutes at a time, take a break between bathing. l Also remember to shower before entering the hot springs. 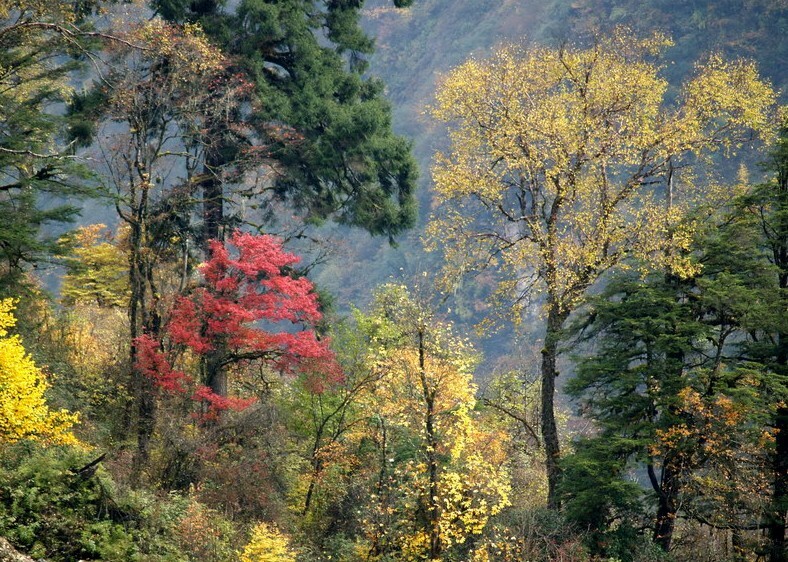 Hai Luo Gou was originally the valley of an ice-melted river on the eastern side of the Gonggar Mountain. 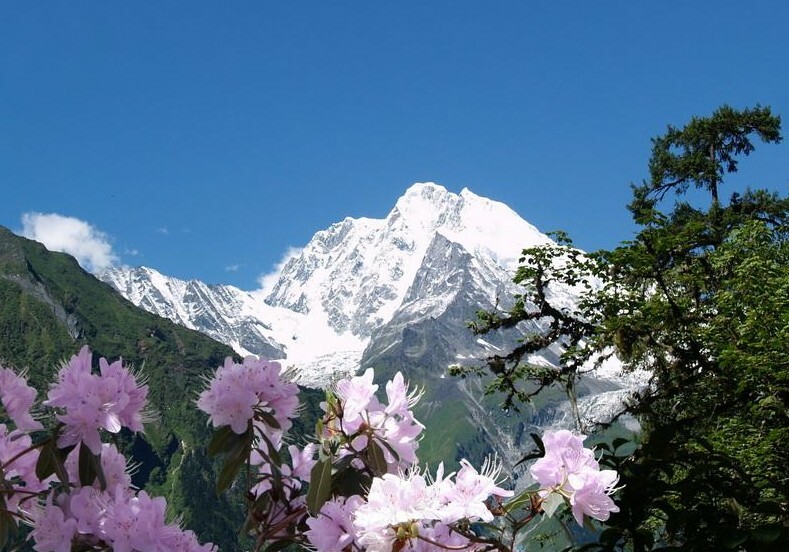 With an elevation of 6,000 meters, it has seven climate zones and making it a rare natural botanic garden. Virgin forests can be seen not too far from the number two campsite. 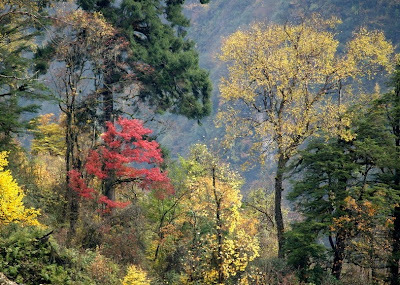 Covering an area of 70 square kilometers, the forests has 4,800 species of plants that include fir, wild sweet-scented osmanthu, wild rhododendron, ginkgo, algum, magnolia, single-leafed grass, and such medicinal herbs as Chinese caterpillar fungus, caladium, pseudo-ginseng and tuber of elevated gastrodis. l Be sure to have company when venturing into the forests so if anything happens you are not alone. l Ensure you know your way back to the campsite before setting off. Going up from the hot springs, tourists can find an ice lake, called Shuihaizi, or Water Sea. It looks like a gem imbedded in a wood of Chinese yew, Katsura tree, Kangding magnolia and big-leafed azalea. On sunny days, the snow mountain, green trees and blue sky all have their reflections in the lake, creating a fantasy vision. l It’s amazing to get up close and watch the wildlife in the wild but do not under any circumstances try to touch or feed the animals as you may put yourself in danger. l Do not leave rubbish or litter around as this can damage the environment and harm wildlife.